Our small trellis garden is starting to produce and requires daily harvesting. 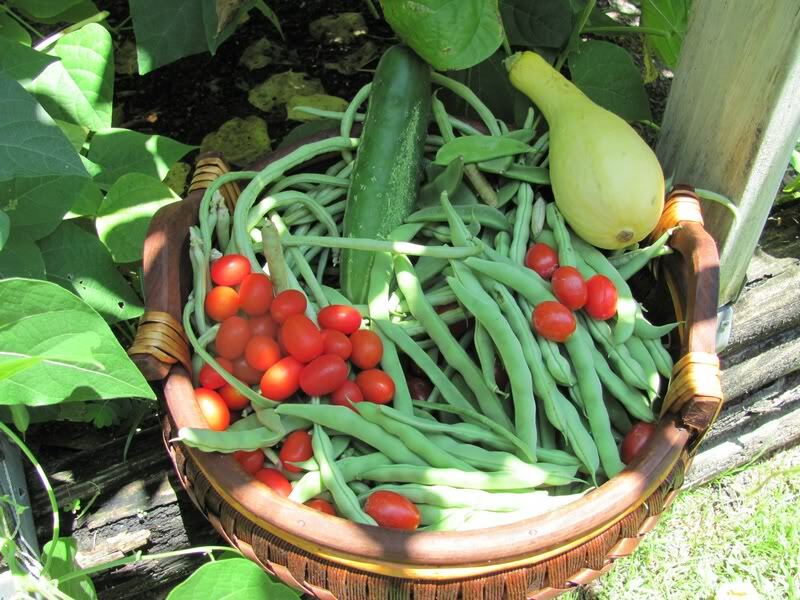 Field Peas, Asparagus Beans, String Beans, Kentucky Wonder Beans, Peas, Lima Beans, Snow Peas, Grape Tomatoes, Squash and Cucumber. Looks wonderful, SS! We're not so lucky yet, but I always look forward to a daily harvest during the summer. Stunning veggies ... You have a Green Thumb ! I am the common laborer who tills the soil and Sweetie is the gardener with the green thumb. Thank You Margi but as I said my wife has the green thumb. Let me ask you, how are you going to prepare these stunning veggies ? If not brazing or using in a stew and soup about the same as you. Might add fresh crack pepper and a tab of garlic power. Savannahsmoker--I'm envious! 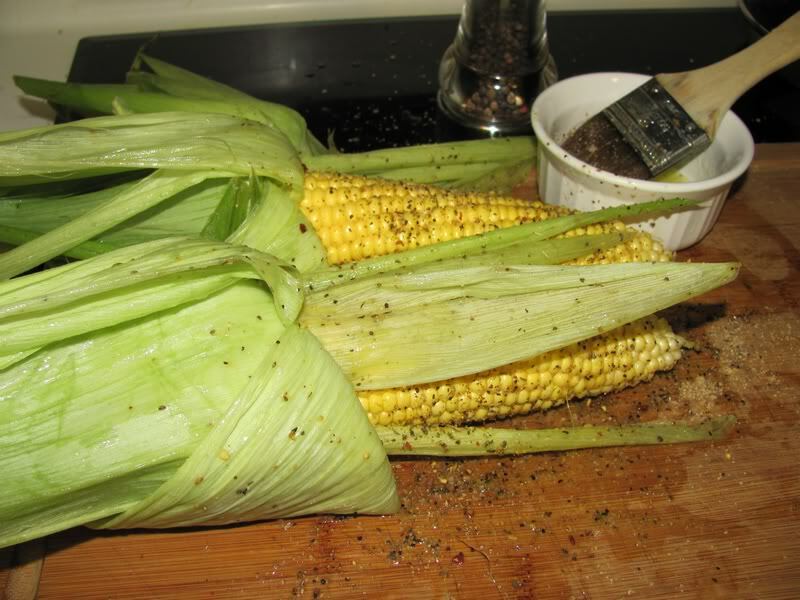 Our corn is only about 4 inches high, the pea plants are blooming, the first crop of radishes are being eaten, as is garden lettuce, green onions, and the first of the Swiss Chard. 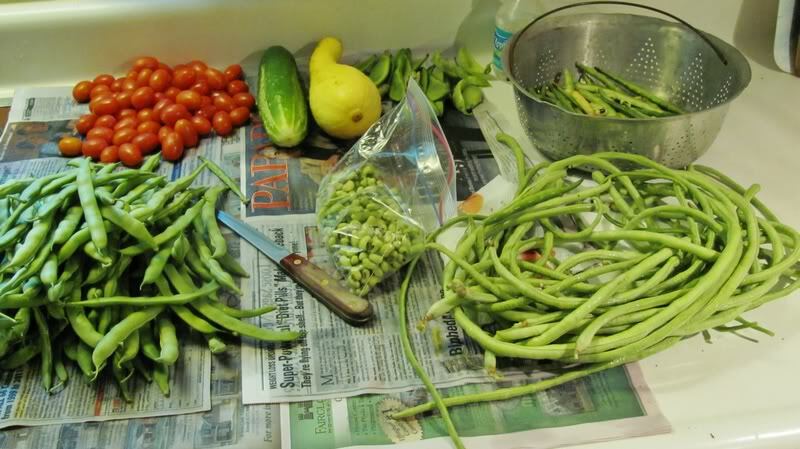 We won't see tomatoes, zucchini, or beans until mid-July. (I'm hoping to dig potatoes for potato salad for Canada day--the plants are looking mighty fine. )We were lucky this year--April and May weren't too wet so we were able to get in the gardens and plant early. The corn even got in before the end of May. In the meantime, the only thing I get to do in the gardens is pull weeds! Good looking garden produce. I am so impressed and inspired. I have a question though...has anyone tried to grow celery? How do you prepare your soil? I grew mine from the roots i chopped off the market bought celery and it does not grow even though i water it everyday.